Yoshikitty has climbed higher each year since debuting in the competition four years ago – ranking 12th place in 2015, moving up to 7th place in 2016 and 2017, and breaking into the Top 3 in 2018, beating popular rivals such as the original Hello Kitty and My Melody. 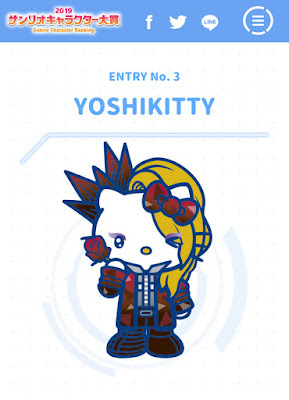 Yoshikitty also received the highest number of overseas votes, ranking Number 1 in the regional rankings in China, Italy, Germany and France. Created by Hello Kitty designer Yuko Yamaguchi, the character’s first ever illustration book will be released in celebration of Yoshikitty’s 10th birthday on May 22. 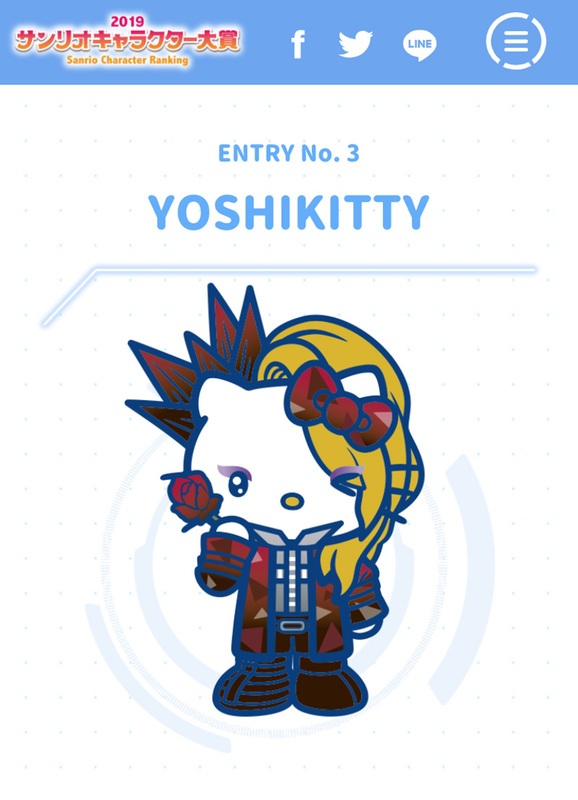 In addition, Yoshikitty’s official TikTok account was also launched this week. Due to the character’s popularity, fans crashed the Fujiya company’s website after a limited-edition Yoshikitty x Peko-chan macaron collection set was revealed on Yoshiki Channel.